After chopping down a tree, the work isn’t completely done: There’s still a stump that needs to be removed. In fact, chopping or sawing down a tree is the easy part. Removing the stump is a whole different story. Stump removal costs will vary depending on a variety of things, most notably whether you do it yourself or hire a professional. 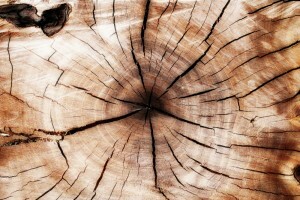 By learning about the costs and prices associated with removing a tree stump, you will avoid unpleasant surprises. Learn more about stump removal prices with our cost guide below. The first decision you need to make is whether to hire someone to remove your tree stump or to do it yourself. On the face of things, it may not seem like there is a huge difference in price between hiring the pros and renting a stump grinder. However, many small but important factors can influence the net amount that it’s going to cost. For example, time is money and that needs to be kept in mind as well. If you’d like the work to be handled quickly and efficiently, you’ll probably find that professional stump removal is worth every penny. By Diameter – If you are charged based on the diameter of the stump that needs to be removed, you can expect to pay around $2-$3 per inch of diameter. Most companies charge a minimum of $100. By Total Number of Stumps – Many companies offer price breaks to customers who have more than one stump that needs to be removed. For example, you may be charged $100 to $150 for the first stump and between $30 and $50 for each additional stump. Clearing Land – In the event that you need a large expanse of land to be cleared and a huge number of stumps to go along with it, you can expect to pay a flat hourly fee. On average, customers are typically charged around $150 per hour. You may be charged based on the average diameter of the stumps that need to be removed. If the average diameter is 12 inches and you have 200 stumps, 2400 inches need to be cleared. At $2 per inch, you will pay $4,800. Stump Diameter – Larger diameters equal higher prices. 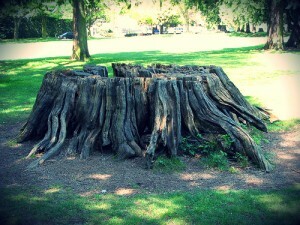 Age of Stump – Older stumps are usually rotted and easier to grind down. Soil Condition – Rocky soil may damage equipment, so you may be charged more. Type of Tree Stump – Certain types of tree stumps are tougher to grind than others. Root System – Stumps with minimal root stumps are cheaper to remove than stumps with extensive root systems. Cleanup – If you want the ground-up stump to be removed as well, you will pay more. The national average for removing a stump yourself is approximately $100, but it takes an average of three hours to get the job done. Home improvement stores rent out hydraulic stump grinders in half-day and full-day increments. The average cost to rent such a machine for half a day is $75 to $100 while the average cost to rent one for a full day is $150 to $400. Although hydraulic tree stump grinders are available for rent, they are usually only designed to handle very small stumps. Due to the rather high cost of renting such a machine, it’s usually only worth your while if you have several stumps to remove. Furthermore, you will need a trailer hitch in order to get it home, or you will have to pay extra to have it delivered. As you can see, the cost of removing a stump yourself depends on a variety of factors, such as how much you value your time or how motivated you are to do it yourself. Your total tree stump removal cost will usually be more if you hire the professionals, but the job will be done quickly and efficiently. Unless you just have a small stump to remove, hiring a company to do it for you is probably the most viable option. Looking for the cost estimate on a stump removal. I have 1 stump I need to have removed it is 15 inches . It is 13 years old and have 4 roots I showing.